Since 1970, the Longwood Alumni Association Awards have been presented to individuals in honor of their outstanding achievements and service to the community. This year, the awards recognize a range of career choices and talents—from a hardcourt star and a Wall Street wizard to two individuals working behind the scenes who have made an impact on the lives of millions. In 1999, the San Antonio Spurs beat the New York Knicks for the NBA Championship. Wearing No. 25 for the Spurs, at that time in his 15th year of professional basketball, was Jerome Kersey. It had been a long journey from his hometown in Clarksville, by way of an impressive college career at Longwood, to that day on the court in the Big Apple. Kersey, who died Feb. 18, 2015, set school records for points, rebounds, steals and blocked shots before his four years on the Longwood court ended in 1984. More than 30 years later, his name is still well-known to Lancer fans. On the court, Kersey led all Division II players nationwide with an average of 14.2 rebounds per game his senior season, good enough to get him drafted in the second round of the NBA draft by the Portland Trail Blazers. He played 11 of his 17 years as a pro in Portland, where he remains among the team’s top all-time performers. But many NBA fans remember best the 1987 NBA Slam-Dunk Competition, where Kersey finished second to Michael Jordan in one of the event’s most amazing displays. Google it. After a great career, Kersey spent some time coaching and pursuing business opportunities. At the time of his death, he was back where he got his professional start as the director of alumni relations for the Portland Trail Blazers, where he created and supported community outreach efforts for the team. Kersey also was seen on pre- and post-game shows on the regional Comcast Sports Network. While Kersey received many accolades, including his induction into Longwood’s first Hall of Fame class in 2005 and both the Virginia and Oregon Sports Halls of Fame in 2008, he counted among his proudest achievements receiving his Longwood degree in 2006 after completing a few final classes. 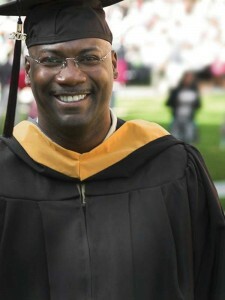 Longwood invited Kersey to speak at commencement again in 2009, and this time he had the credential he felt was necessary. He said giving that speech was one of the most intimidating and important experiences of his life. Donna Gibson’s parents encouraged her to forgo college and become a secretary, but she had other ideas. 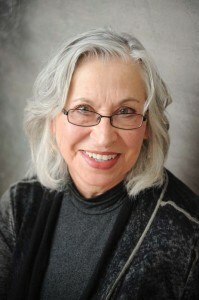 Dr. Gibson ’72 did finally make it to the classroom—at Cornell University, no less, where today she is an adjunct professor—in addition to spending more than 30 years as a biochemist conducting groundbreaking research for the Agricultural Research Service, which is part of the U.S. Department of Agriculture. From work on anti-cancer drugs to alternatives for chemical pesticides, she has made a career out of making people’s lives better and safer. This particular, very productive career got its start in a biology class at Longwood. With help from teachers who made the subject come alive, the future scientist found a calling. That thirst for knowledge continued to serve Gibson well in her doctoral studies at the University of South Carolina and in her career. In the 1980s, she worked on a USDA project to find synthetic alternatives to the anti-cancer drug Taxol, whose only source was the bark of Pacific yew trees in the old-growth forest habitat of spotted owls—the perfect storm of rare, expensive and environment. Later she helped search for biological control agents to reduce farmers’ dependence on potentially harmful chemical pesticides. And she played a vital role in the team of researchers who created an enzyme additive for animal feed that can reduce phosphate runoff in the environment. These days, while she is newly retired and starting yet another chapter in her life, Gibson continues her faculty appointment at Cornell, where she tries to instill in the next generation of scientists the kind of passion she discovered in that Longwood biology class. There are times a song can change your life. Nancy Birdsall Bain ’55 grew up in Dinwiddie County and followed in her mother’s footsteps by attending Longwood. Her mother was a teacher, but Bain studied business education with hopes of charting a different course. Then one day in the early 1950s, she heard the band from a nearby Army base perform. 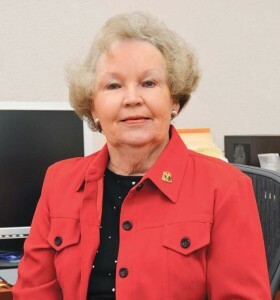 Bain had been retired only one month when she was asked to return to work for the Army Quartermaster Foundation, a fundraising organization that also supports a museum preserving the history of the corps. The museum is visited each year by more than 70,000 people, including thousands of soldiers required to pass through as a way of appreciating what it takes to keep them fed, clothed and on the move. Looking back at her time at Longwood, Bain credits close relationships with helping her grow up. She also recalls the time students spent on the train going back home to Petersburg. When he moved to New York to launch his career in investment banking, Evan Weinstein ’04 ran into an army of analysts with Ivy League pedigrees. But he soon discovered one big advantage from his time as a student at Longwood University. Another advantage was something that was brand new when Weinstein was at Longwood and has been providing valuable experience to Lancer graduates ever since. fund now has assets of more than $500,000. In his senior year, Weinstein served as the fund’s second manager. “The fund was a big leap of faith by school administrators,” said Weinstein. in revenue. In appreciation of what he learned at Longwood, Weinstein takes the time to talk with students currently working with the Lancer Fund and meets with them on an annual trip they take to New York. An outstanding business education wasn’t the only thing that drew him to Longwood, however. He also came to pursue his second passion: baseball. He was a starting pitcher and Academic All-American in 2003 and 2004, the last Lancer to receive the award until soccer player Kelsey McDonald earned the honor this past season. These days Weinstein has added another passion to his life: fatherhood. He and his wife, Leah, welcomed daughter Madeleine in 2013. The story of how the largest collection of native virginia plants in the world came to reside in the basement of greenwood library is as priceless as the collection itself. The next time you visit Farmville, be prepared to spend the day. Where in the World is the Longwood Scarf?